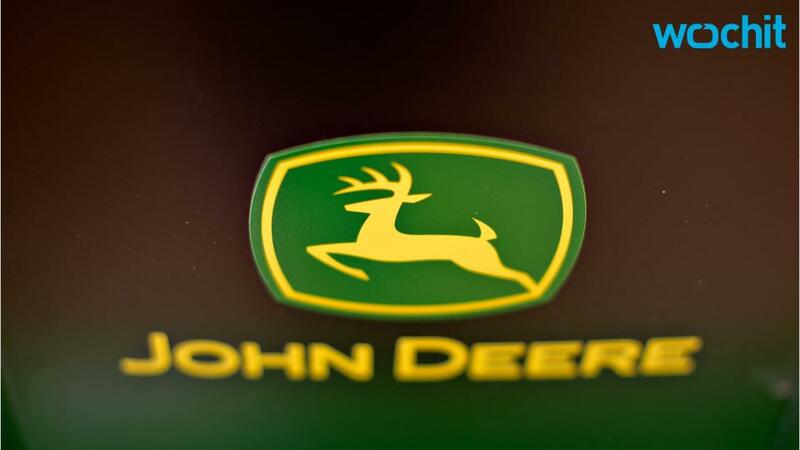 John Deere is still getting hurt by a "global farming recession" and weak demand. The world's largest farming-equipment maker reported lower fiscal-second-quarter profits and sales ahead of the opening bell on Friday, and cut its outlook for the year. "John Deere's second-quarter performance reflected the continuing impact of the downturn in the global farm economy and further weakness in the construction equipment sector," said CEO Samuel Allen in the earnings statement. The company said it now expects full-year net income to be $1.2 billion, down from the forecast of $1.3 billion in February. It forecast that sales of agricultural equipment in the US and Canada would fall 20% year-on-year. But it upped its projection for a full-year sales decline a hair, to -9% from -10%. A downturn in grain prices has hurt makers of agricultural equipment, although some grain prices including corn have recently risen. In its full-year outlook released in February, Deere said it expected 2016 to be another challenging year. "Although our forecast calls for lower results this year in light of ongoing market pressures, Deere is continuing to perform at a much higher level than in previous downturns," Allen said Friday. In the last quarter, adjusted earnings per share was $1.56, beating the forecast for $1.47 according to Bloomberg. Deere shares fell about 1% in pre-market trading. Through Thursday's close, they had rallied 8% this year.